Now, Joan wasn’t saying Jeremiah’s annoying in a mean way, she loves him, but she knows that when I’ve had it up to my eyebrows with everything in my life, including moments with Autism, she will watch the kids (she runs an in-home daycare) a little extra for me. She knows that some things Jeremiah does can bother others. He bothers her too, and she has a LONG fuse. But, I’d say 98% – 99% of Jeremiah’s “annoying” behaviors are the result of him not being able to communicate, coupled with his sensory needs. Jeremiah’s a REALLY good kid other than he exhibits what we see as negative behaviors when he can’t communicate and when his sensory needs over or underwhelm him. For example, when Jeremiah doesn’t have his PECS* card for “food” available, he opens the dishwasher to climb on the counter to get his snack. He doesn’t open anything else, he doesn’t make a mess, he simply gets out the goldfish, and is usually found out before he opens the package. Getting him off the counter is “annoying” to me because I have to lift him off the counter, and I have back problems, so it hurts, and doing this consistently on “bad” days, coupled with other behaviors, is hard. But, we can see that he’s climbing on the counter because he’s hungry (always) and wants to eat, but wasn’t able to communicate his need in a timely manner, if at all. Those things that annoy some of us are our child’s way of saying something: they’re get excited when the sun is shining, they want to play at the playground you just passed by, flourescent lights irritate them, they hear humming in their ears, they’re saying “hi” (Jeremiah does this by hitting – we’re always teaching him to be gentle, but we need to acknowledge that he’s saying “hi”), and so much more. Really so much of what I want for Jeremiah is based on two key things I’ve talked about here, I want him to be able to communicate and I want to help him with his sensory needs, or for him to know what to do for himself. And in the end, I want Jeremiah to be happy. That’s my desire for him. 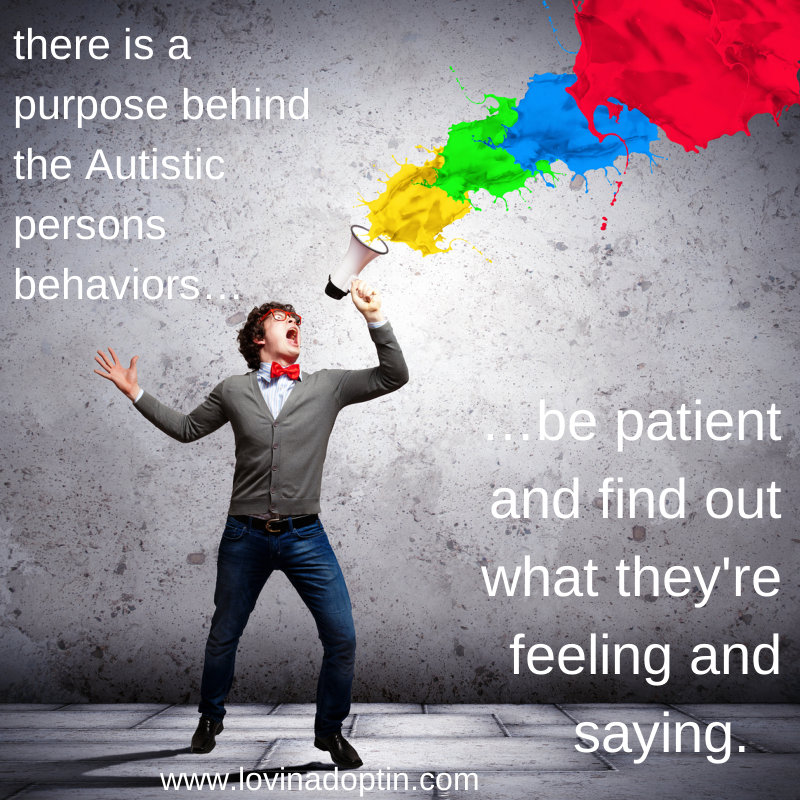 In the beginning of my Autism trek, I was surrounded by people with more of a “poor us” mentality, parents want to “cure” their child, people who wanted to know how we could “fix” Jeremiah, it wasn’t so focused on the positive attributes of Autism. I’ll be discussing more of that mentality next week, because the conversation I had with Joan moved into the area of “fixing” or “getting rid” of Autism. *PECS stands for Picture Communication Exchange System which uses photos as a way to communication. 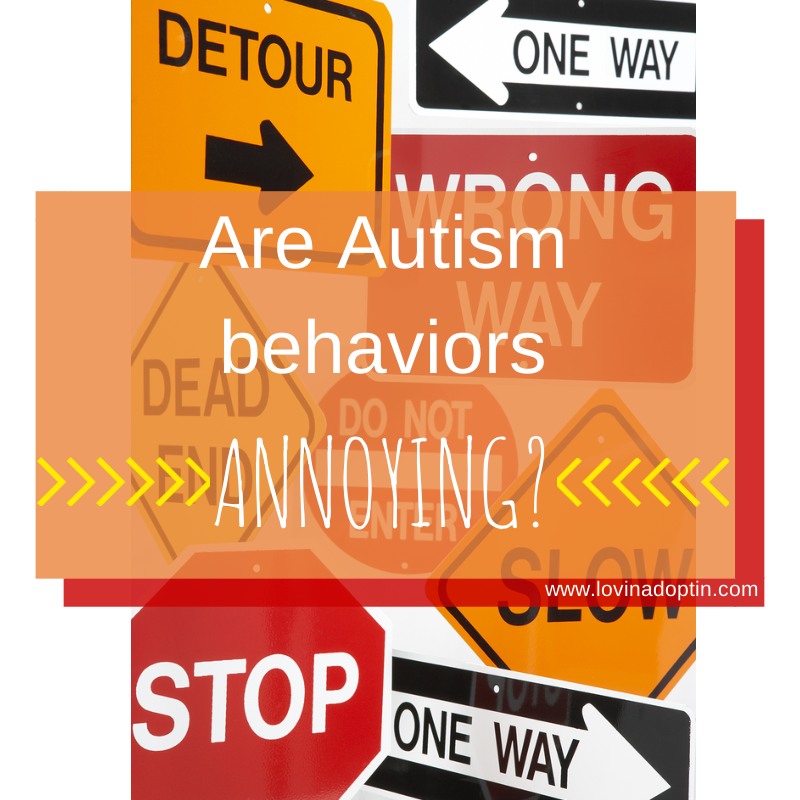 This entry was posted in Uncategorized and tagged annoying behaviors, Autism, behaviors, communication, everyone's annoying, personalities, sensory needs, special needs. Bookmark the permalink.